It takes creativity to eke out time to exercise when you have kids. 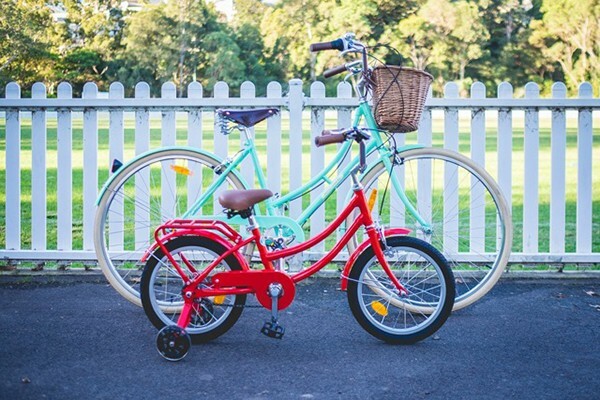 Our founder Mandi decided if you can’t find time around ’em, join ’em, and she bought adorable matching bikes from Melbourne bike shop Papillionaire for herself and her daughter. Parents have a lot of interesting ways to fit in exercise. Some folks run with the pram, my husband lets the kids ride on his back while he’s doing push-ups. We love that Mandi’s exercise routine gets her and Audrey outside spending time together. With a family of three kids, one-on-one time is so valuable. 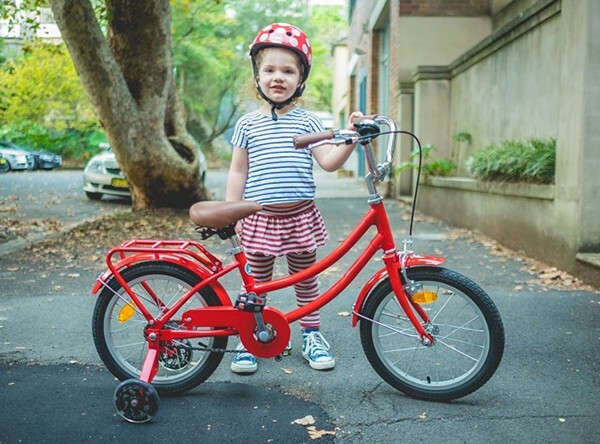 On top of that, Audrey gets to practice on her pushbike so that one day soon, her training wheels will come off and she can challenge mum to a race. Papillionaire’s bikes are colourful and have a retro vibe. 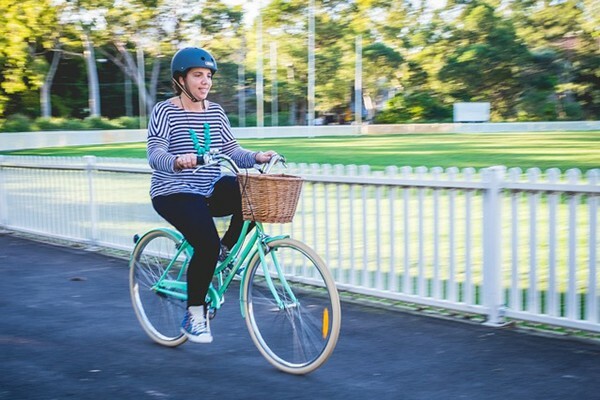 Mandi (pictured below on her sweet new wheels) has the Sommer cruiser (from $599), and Audrey the Little Papi (from $229) which are great bikes for cruising around the parks and local suburb. There are also two versions inspired by the traditional fixie road bike, but these ones have gears, making hill climbs a lot less painful. Papillionaire’s bikes are customisable. There are three or eight gears, two sizes based on your height, options for tyres, saddles and grips, and then there’s the fun part: colour. Papillionaire has a rainbow of finishes available, from red to turquoise to cream or black. Mandi’s is a sweet mint green, and Audrey’s fire engine red. Papillionaire bikes are available online and ship flat packed, 80 per cent assembled. You can finish the job yourself or Papillionaire will ship to a bike store where staff can assemble the rest.